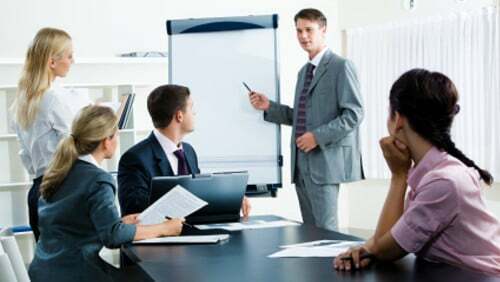 The Project Management Professional (PMP)® credential is considered all over the world as a mark of a professional project manager. Employers take the credential into account when recruiting, and it also provides individuals with confidence in their own abilities. However, becoming PMP certified requires a pass mark in the exam as well as practical experience, so preparing fully for your exam day will give you the best possible chance of becoming certified. Reading A Guide to the Project Management Body of Knowledge (PMBOK® Guide) and learning the project management theory is only part of the preparation you can do. There are a number of PMP exam simulators available and these products help you prepare for the style of exam by providing the opportunity to take sample exams before you sit the real thing. Here are 5 reasons why an exam simulator should be an essential part of your preparation for the exam. Taking computer-based exams is a relatively new thing, and it is probably not how you took exams at school. A simulator will give you the opportunity to practice with the computer-based format before you have to take the real thing. You can have a go at a sample exam at home or at work and this will make sure that you know what to expect on your exam day. 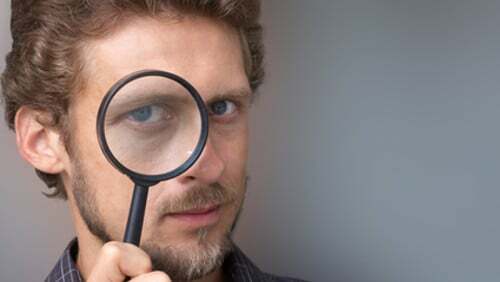 Use a simulator to get acquainted with the simulated testing environment and all the features that it offers, like the ability to mark questions for review. Under exam conditions you will have 4 hours to answer 200 questions for the PMP exam. Four hours is a long time to sit in front of a computer answering questions, so it is useful to have the experience of what this feels like before you take the real exam. 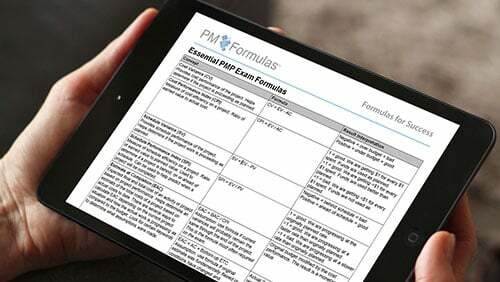 A useful part of your PMP exam preparation is to take a full sample exam with a full set of 200 questions. You can use this practice time to test your time management skills. Check that you have enough time to complete all the questions, and that there is still enough time left to go back and check any that you have marked for review. This will give you the confidence to know that you will be able to make it through all the material during the actual exam. You would never take a driving test without having driven a car, would you? It’s the same thing with other types of exam. The more practice you have at the format of the exam and the content of the questions, the more confidence you will have that you will be able to take the real PMP exam and pass successfully. Using a PMP exam simulator gives you the opportunity to review your learning and check your abilities. Once you have tried several sample exams in full exam mode, you will know what to expect and have the self-confidence you need to tackle the PMP exam head on. Using an exam simulator is, of course, not the only test preparation that you will do for the PMP exam. You might have chosen an online course, books or maybe even a classroom-based course to supplement your own reading and study for the exam. An exam simulator provides the advantage of verifying that you are able to apply your PM own experience and the concepts you have studied to realistic exam questions. In other words, you are checking that you can translate the theories and ideas you have learned into a good chance of success in the exam. Becoming a PMP, however, is about more than just passing the exam: you should be able to apply the concepts to the project you manage at work too. But a simulator will give you a chance to check that you have understood those concepts accurately. In addition, using a simulator will expose you to a variety of scenario-based project management questions, and understanding these short scenarios and being able to apply personal experience and the concepts of the PMBOK® Guide is what the exam tests. Don’t let a busy schedule be an excuse for not spending time studying for your PMP exam. 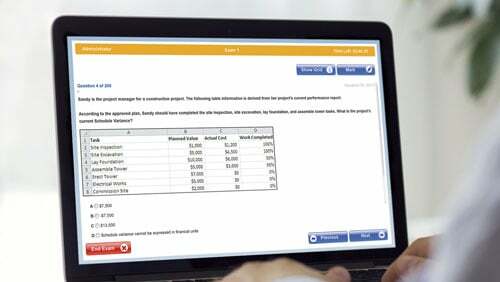 An exam simulator is a great solution for busy project managers. Exam simulators are available either to download and install on your PC, or they are available online. If you are often travelling or want to make use of downtime, choose a simulator that is accessible online from anywhere and you can use those moments stuck at airports or between meetings to fit in some study. Preparing for any exam requires you to dedicate time to studying. The PMP exam is no different, and you can increase your chances of success by preparing thoroughly and using an exam simulator. This will give you exposure to the format of the exam questions, experience of a full practice exam and working under test conditions to complete it, and the opportunity to build your self-confidence before you take the real PMP exam.